Dana Fried is the best consultant I have ever worked with in my business career. I have worked with consultants from the Boston Consulting Group who could not measure up to the talent and energy that Dana has. Taryn Rose International would not have become a 40 million dollar company without the assistance of Dana Fried over 9 years. He has known me since I started from my garage and was by my side as a COO, during my company’s fast growth. Dana is able to help a business owner get over the hurdles of production, inventory management, margin control and maximization and financial controls. He is the best negotiator I’ve ever met. He was able to put together a deal with our Japanese distributor during one trip to Japan. This is a remarkable feat given the Japanese reputation of being very slow and careful in business. Dana Fried will add value to any company, because of his multifaceted knowledge base and talent. His incredible energy level makes him efficient and able to work under pressure and long hours when needed. I am able to recommend Dana with the highest praise and gratitude. All I can say is, listen to what this man has to say. If you don't, it's your loss. Our weekly meetings have helped us understand what a calendar is, get our books in order, make sure our margins couldn't cannibalize our profits, develop a back-end system, and this is only the beginning. Want to know what my one take away is that I go back to on a daily basis? "You can't make business decisions based on your emotions." If you're a creative, sensitive, or get your period, this should speak volumes. If you think you're not prepared enough to take on a consultant - well, you haven't met me. I was a totally over-caffeinated tornado. And now I'm (well, I'm still over-caffeinated) - but now I have a focus, and peace of mind knowing that Dana will walk us thru every hill we need to climb. Together, with a plan. And that's huge. Dana was with us every step of the way as we launched Made and Mastered. We run a Bangladesh-based garments manufacturing company and were looking to launch a brand in the United States. Dana put together a team of professionals with a lot of experience and together they took care of everything from the initial market research and branding to actually launching our product. He is an absolute delight to work with. He is very knowledgeable about the fashion industry and every aspect of launching a U.S. brand. The best thing about working with Dana is he always puts the interests of the company first and makes sure that we will be protected throughout every contract and business deal. I worked with Dana a few years ago when my business sales went flat. With growing AP and flat sales, I did not know what to do. Sometimes as a CEO, it's hard to know what is holding you back especially because you are in the trenches daily. Dana came in and instantly started asking the right questions: Profit margin? Sales strategy? Merchandise mix? He helped me to see that we were no longer a wholesale business but a pure play ecommerce business and we should merchandise and market that way. This lead to doubling our sales in one year. Dana is funny, honest, and no-nonsense, exactly what CEOs need. I appreciate that he always has his clients best interests at heart. Dana has also been instrumental in introducing me to other resources that have pushed my business further like e-commerce experts and fiscal analysis tools that we couldn't begin to afford if we had to bring these people on full time. Dana's connections allowed us to use their resources at an affordable rate. Dana's business savvy and strategic way of approaching the unique challenges faced by apparel companies are second to none. In the time I have worked with him, he has helped me completely transform the inner workings of my business. Under Dana's guidance, I have streamlined my production and development process, increased my margins and gained sales representation. Dana is able to translate his suggestions into specific action steps that I can successfully accomplish. He is truly a pleasure to work with. He tells me what I need to hear (even if it’s not what I want to hear) and he always makes me feel like a top priority. Dana always has my company's best interest at heart and I trust completely the advice and suggestions he gives me. Dana is more than just a consultant. He is now an integral part of the S & T team. I came up with a concept for a footwear product and was referred to Dana Fried of Delphic Consulting. I can tell you 100% that had I not found Dana I would not have launched. Not only does he teach you the 101 of starting a company which is hugely important, but he is so knowledgeable with real time “on the ground” experience that he analyzes what you know and what you don’t know and he fills in the gaps for you. If you get to the point where he says to go for it, you go and never look back. Not once did Dana make me feel ignorant for what I did not know or ridiculous for going for it to begin with given my lack of experience. He is adept at working with entrepreneurs and assessing where their individual strengths and weaknesses are. He absolutely points you in the right direction. We have no way of knowing at this point if we will grow into a larger successful business, but I can say unequivocally that if we do, it will be in large part because of his guidance. He gives you the information you need and also is incredibly humble and supportive. I trust him completely. He knows his business. Being an entrepreneur requires incredible courage and an iron will. But we don’t know what we don’t know. Dana is the window into the future of your start-up, a window into the day to day reality of your business before you know what that reality is. He is also the foundation from which I am growing my company. I worked closely with Delphic Consulting for over a year. In that very short time frame we have rebranded our company, had a double digit increase in revenue, streamlined our reporting, budgeting and organizational processes, retrained our sales reps in line with our brand, and provided sales kits and marketing materials that have allowed us to double our sales from trade-shows when compared to the prior year. My management team and I enjoy working closely with them. Their experience in the footwear industry is so valuable and I would give them my highest recommendation to any business owner looking to take their business to the next level. I hired Dana Fried to help me negotiate the best deal possible in bringing in outside equity in order to take my apparel company to the next level. He has provided guidance and knowledge as we have gone through the process. Do you know your margins? Are you keeping updated records of your below the line costs? What commitment are you making to your retailers for sell through? Do you know what sell through is? I started Blu Pony Vintage with a clear vision of my brand identity and what I thought was an understanding of margins, my customer and my product. Dana Fried showed me that although I had a great product that doesn’t mean anything if you don’t have proper margins and a strong sales strategy to survive. And so the process began. We met regularly to go over everything related to Blu Pony Vintage. If I had questions after our scheduled meet, Dana was always available. It felt as though I had a partner even though it was just me in the beginning. It was great knowing he would be checking my progress and keeping me focused on the next step. There is no way Blu Pony Vintage would be where we are today with out Dana Fried’s support and guidance. I have always been great at coming up with business ideas but never good at executing them. Dana Fried has helped me to have a great and successfully growing business. For that, I am forever grateful. I have known and worked with Dana Fried at Delphic Consulting for a number of years. His experience and hands on approach have helped many FBI members achieve their objectives. Dana gives advice based on real life industry experience of running both apparel and footwear companies from start-up to over $30M in revenues. Dana was literally the answer to our prayers when all we had was a big dream, little hope, and sketches of shoes. He provided a reliable guidance and substance to our vision. He taught us the tools necessary to start our business in operations, manufacturing, sales and merchandising, and finances. Now we dream in terms of gross margins and projections. He was like our "business dad", only looking out for our best interests, showing us the scenarios and tools for us to make our own decisions, and being there when we make our mistakes (like when we don't listen). Dana Fried brings to us and our company an indispensable knowledge and experience, all with a candid and fresh honesty, and a sense of humor. Now we just want to make him proud. Thanks Dad! It is a pleasure to submit this testimonial for Delphic Consulting. I cannot emphasize enough, the confidence I have in the company and the individuals I have had the pleasure to meet. Delphic Consulting have always conducted themselves as complete professionals whenever we have had the need for their services. 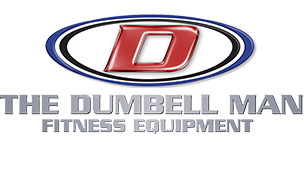 The Dumbell Man Fitness Equipment experienced a significant growth in profit within weeks of our initial meeting. The Training programs, operations manual and employee handbook they developed helped define and regulate responsibility and employee behavior. I would encourage any group with a need for business consulting to utilize their services. They have my highest recommendation. — Arlene Battishill, President / CEO. Scooter Girls Inc.
Dana stepped in and offered his amazing industry and operations knowledge and provided me with a clear and robust blueprint of what I needed to focus on and where I needed to go. He took on the project as if it were his own considering the characteristics of my products and business as well as my personal experiences, abilities and vision and created a tailored and unique business blueprint. I felt educated, confident and ready to start my business with Dana by my side and have been able to get it off and running with great results in less than a year! If you have no idea where to start, if you know exactly where you want to go but don't know how to get there, or if you think you have it right and just need a second opinion, Dana is the person to seek to help you get results and achieve goals! I have been working with Dana since 2016 and he has transformed the business and has been instrumental in helping the company grow. He helped secure the necessary financing, stabilize the infrastructure and grow and manage supply chains for the business. He understands how to run the business profitably, but most importantly how to build value and the brand. The way he helps me run the business is how very few companies operate these days. I’m honored to be working with him and it’s exciting to see the company grow with his help and guidance. I just wanted to reach out and say thank you for helping us launch Korked a few years ago; I feel the exercises you had us do were paramount to our success over the past two and a half years. I was just reaching out to let you know that we were just bought out by the company you had me do our GRID analysis on back in 2015. We got extremely lucky that first year, but I don't think we would have been able to capitalize on that luck as well as we did had we not done the quick start program with you. Cheers and thanks again. I’ve worked with Dana for nearly 4 years. I did his quick start program to help me determine the viability of my concept, and to learn about what is entailed with starting a footwear company. I’ve built another company that is a franchise, and I’ve worked at large companies for 17 years, so I have a lot of business experience. But having never been in footwear, nor started a company from scratch, Dana’s assistance has been invaluable. He has served an even broader role than that of an industry expert – he inspires me to get more creative when I think I’ve exhausted all options, he holds me accountable when I need to be pushed, he reminds me of our company’s achievements when I’m feeling there isn’t much good happening, he helps me put everything into perspective, and he supports me when I go in a direction that is different than he might have chosen. He has always been available to me when something urgent comes up. While Dana’s brilliance is in finance, he is excellent in all aspects of running a business. Starting a company is hard (and a lot of fun), and there’s no way I could have gotten this far without him.